So fashion month is well and truly done with for this season but something I cannot get over just yet, is how undoubtedly stunning the arm gear was that was being sauntered up and down the catwalks in All 4 fashion capitals were! I mean lets just talk about one of the worlds largest fashion houses, creating part of their collection entirely based on the the worlds biggest guilty pleasure McDonald's yes please. Can we just have a moment of silence for the Moschino Slurpee drink clutch *sighs longingly* thanks. Also bags inspired by food didn't stop there oh no hunny this season also birthed Anya Hindmarch's Crisp packet bag which is unsurprisingly already sold out on Net-a-porter.com.See I believe this personify's The famous Coco Chanel quote (all together now) 'Fashion is in the sky, in the streets, fashion has to do with ideas, the way we live, what is happening'. I mean a bag that looks like it should contain thinly cut flavored slices of potato but instead contains your things -just how chic can you possibly get! 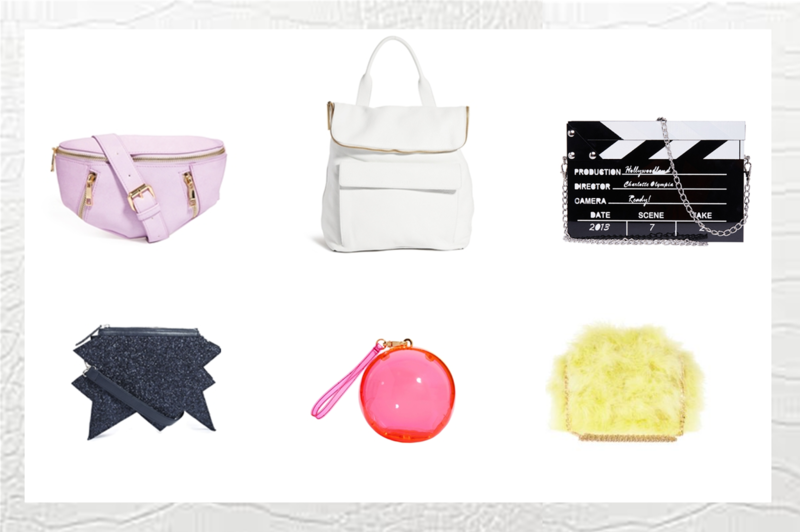 Below is my selection of the bomb.com statement bags available on the high street. they're right beauty's no? My favorite is Dolce&Gabbana, but also Vanessa Bruno is really cool! I loved the fast food theme! Made me smile.